When I find myself wanting something new to try in wet shaving the first place I look at my local CVS, Target and Walmart stores. I don’t always come across something new but this time I found what I feel is a gem. 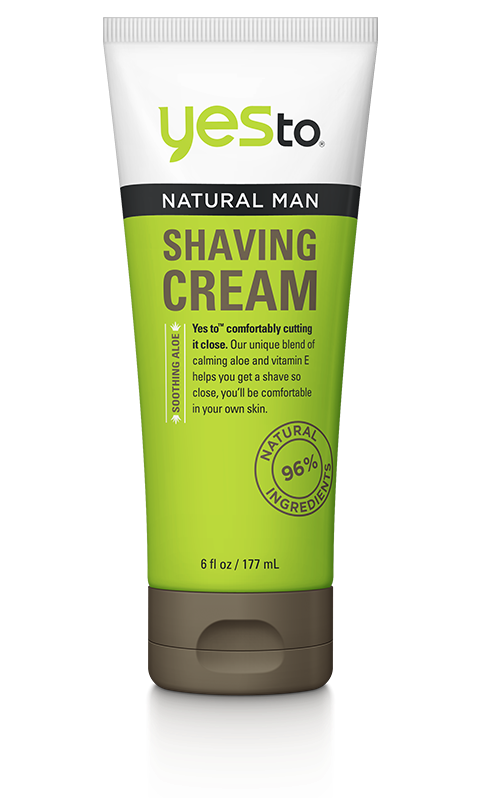 It’s a shaving cream for men called Natural Man shaving Cream. The Yesto brand offerings are vast including face, body, hair, lips and baby but now this new line called Natural Man includes Shower to go cleaning cloths. A daily face scrub plus face lotion, charcoal bar soap and for the wet shaver a post shave cooling balm and shaving cream. Can something be called Natural if 4% of ingredients are not? I’m not sure but it’s states this proudly with a circular stamp on the outside of the packaging. 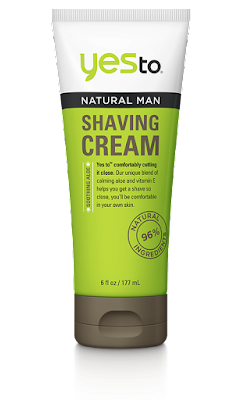 I guess just having the word natural appearing on your products is a win for the brand but regardless of that this is still an amazing shaving cream. When using this cream, no brush is needed all you do is wet your face then place a small amount in your hands and gently rub it into your beard. The other advantage of this product is added aloe and vitamin E to it’s formula. I have to agree that the aloe in this product makes all the difference in performance plus the scent is great too. You can make the combination of Lemon, Grapefruit and Orange. Shaving creams normally produce more slickness than shaving soap but this has to be one of the slickest shaving creams I’ve come across in a while. When it come to lather it’s minimal at best but regardless of that the shave was close and post shave feel fantastic. As for the scent it lingers just a little. So give this one a try I found it to be one I’ll be reaching for again and again. You don’t use much either and at $8.99 this one tube could last you over a year.